The National Review, founded by conservative intellectual William Buckley in 1955, describes itself as America’s most influential conservative journal and, certainly for most of its life, it has been that. While it did defend for many years the segregationist leaders of the South, it has generally portrayed itself as the voice of responsible conservatism, and in fact did effectively marginalize anti-Semites, the conspiracist John Birch Society, and a variety of immigrant-bashing nativists. 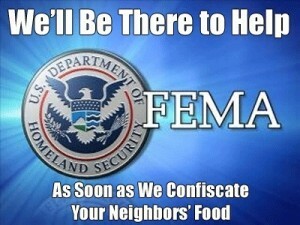 So what’s it doing promoting the myth of FEMA concentration camps? In a fascinating investigative article at ThinkProgress, writer Zack Beauchamp details what looks an awful lot like a scam run by a company called Reboot Marketing, founded by one Allen Baler. 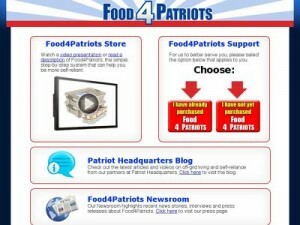 The story details how the company makes a fortune running such online marketing firms as Food4Patriots, Power4Patriots, SurvivalSeeds4Patriots, Water4Patriots and the Patriot Alliance. Now, “FEMA camps” are not responsible conservatism. They are a myth, a fairy tale concocted by radical-right ideologues of the antigovernment “Patriot” movement. These people have been pushing the story for years that FEMA has built a series of concentration camps in which the government intends to intern all those American patriots who resist a coming confiscation of all citizen-held guns. To its credit, when Beauchamp alerted the Review to the apparently shady practices of Food4Patriots (read his article for the details), it promptly suspended future ads from the marketer. But it’s remarkable the journal would even touch the FEMA tale. The Reboot efforts may well be the latest instance of “Patriots for Profit” — the phenomenon of sharp business people taking advantage of the fears of those in the Patriot movement to sell them all manner of products. The heyday of this kind of thing came at the end of the 1990s, when large numbers of self-described Patriots sold generators, food, underground bunkers, weapons and all kinds of other products that they predicted would be essential during the much-feared “Y2K” collapse. As often as not, the sellers were not true believers but merely cynical opportunists. Today, these kinds of aggressive selling techniques are again common in the right-wing media. WorldNetDaily, for instance, blasts out a never-ending diet of fearmongering E-mail ads purporting to save buyers of the products it's hawking from Armageddon, which is invariably portrayed as being just around the corner. Glenn Beck is another example, with his relentless promotion of Goldline in the face of what he describes as imminent social meltdown.